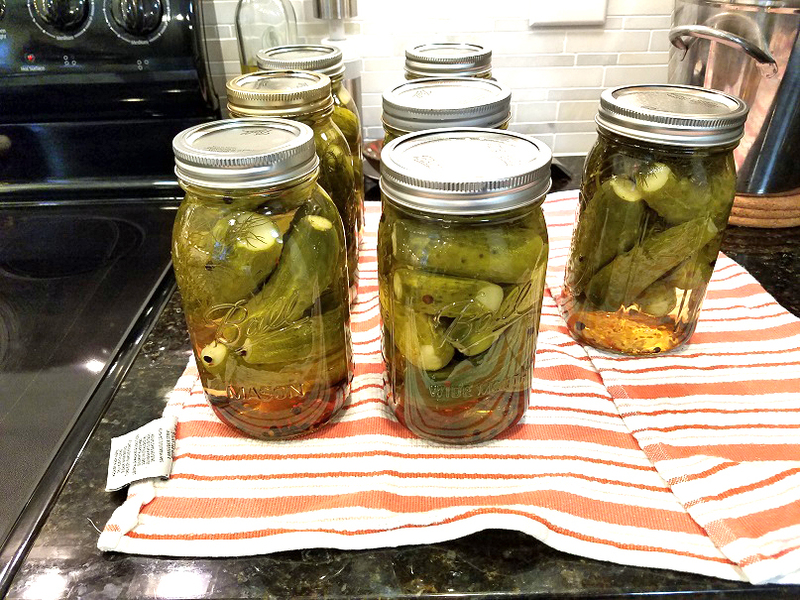 The first of this year's pickles have been canned and I'm pretty confident about my recipe and method, which I plan to share in another post. The heat and humidity have started to pick up for the summer, although it's been MUCH cooler and wetter than what we've had for the past 2 years, for which I am thankful. However, my bath bombs have certainly NOT liked it, as they will absorb moisture from the air if left unprotected in some way. I prefer to shrink-wrap mine, but even that is not 100% fool-proof. 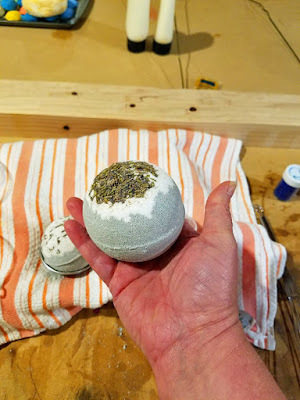 As a hunch, I made 2, sample Lavender bath bombs and set them out to dry over night. Yep, the next day, they started to have what's called "warting" where little wart-like bumps appear on the surface of the bath bomb as particles within the bomb react to the humidity. 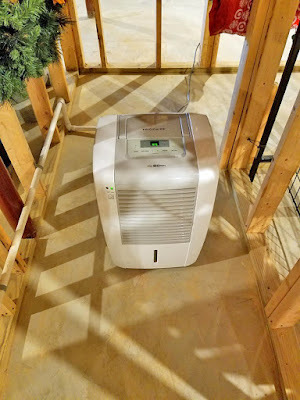 It's our dehumidifier, and since we've moved up here, we haven't had to use it. For years, I debated on selling it, but I'm damn glad I didn't now! I set it up to run continuous for 2 days, and now have it set to a happy 45% relative humidity for the basement. You can definitely tell a difference when you go downstairs now. 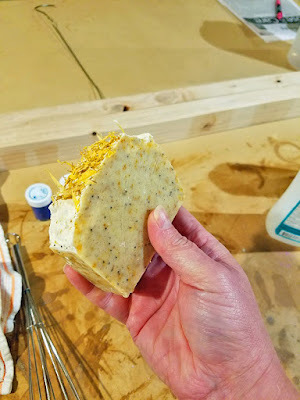 I've been having an issue with soda ash (harmless) residue on top of my soaps, which is why the top is whiter than the bottom and sides. Soda ash is basically what happens when unsaponified lye is exposed to air during initial soapmaking. It's harmless, but an aesthetic irritant to me. I've been getting around it by steaming my bars for a nice, saturated, lacquered look, but I need to keep experimenting to see if there is a better way to prevent it.